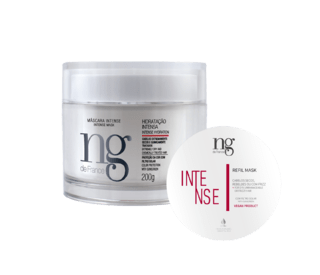 INTENSE MOISTURIZING HAIR MASK- Intense threatening Moisturizing mask for all types of hair. Gives back to the strand a natural protection and essential physiological characteristics of hair structure . It´s rich in fatty acids , omega 6 and 9 with anti aging action and Karite butter. That set a protector lipid layer down , avoiding damages in the internal structure and the increasing the moisturizing. It provides more color durability , keeping the bright strands, avoiding dryness and volume .Creating softness, silkiness and natural look. MAIN BENEFITS –Takes the volume off. Extremely moisturizing . 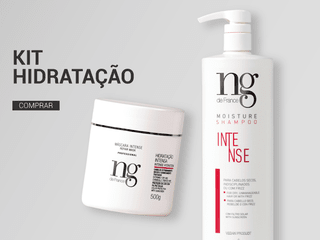 Avoids frizz. Detoxes the fiber and the scalp. Fill the damages strand hair zones.